Simulink® offers a graphical environment for simulation and model-based control design. It builds upon MATLAB® scripts. Both are products of Mathworks®. Axiomatic generates embedded code for our ST32 microprocessor-based controllers using Simulink®. We are adding to our product line all the time! Axiomatic controls programmed with Simulink® support both CAN SAE J1939 and CiA CANopen® protocols. Customizable block libraries are available for the Axiomatic control products listed below. Customers using the Simulink® modelling environment during development of their control system can incorporate the Axiomatic controller by using the Axiomatic Hardware Interface Library (HWIL). To use the Axiomatic HWIL, licenses for Simulink® and Stateflow® are required. Code generation requires the Simulink Coder™ license or another compatible product. 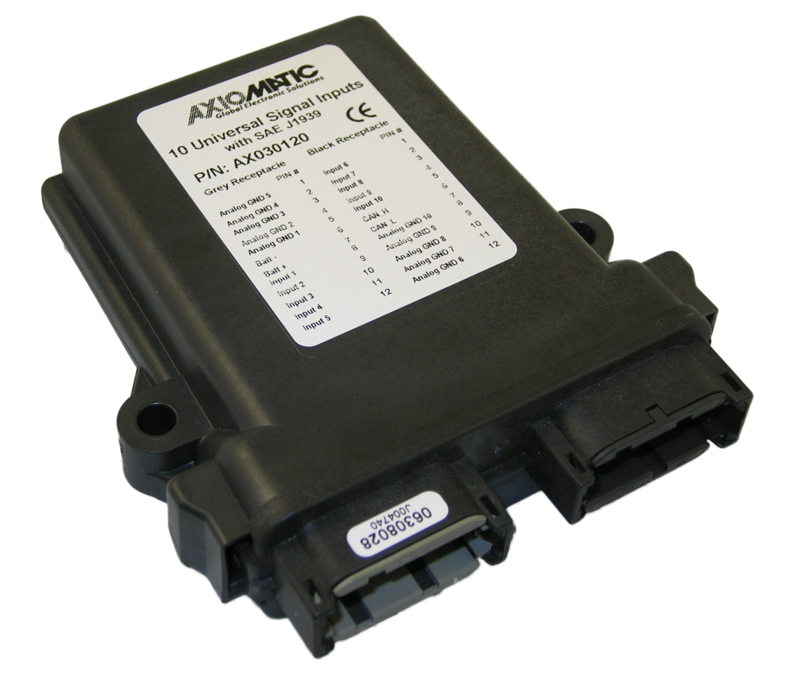 In addition to the off-the-shelf products shown below, Axiomatic can provide an OEM control solution to meet your design project requirements. 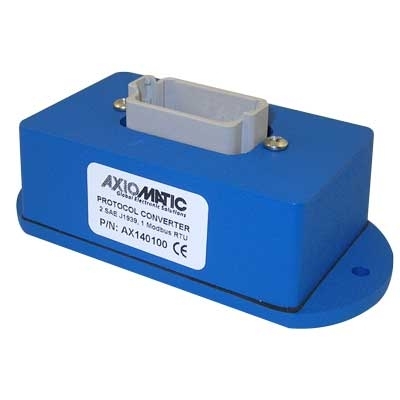 Flash new firmware generated by Simulink Coder™ into the Axiomatic controller with the factory programmed CAN bootloader by using the Axiomatic Electronic Assistant®. Electronic Assistant® is a registered tradement of Axiomatic Technologies Corporation. Contact Mathworks for information on their products. Mathworks®, Simulink®, Stateflow® and MATLAB® are registered trademarks of The MathWorks, Inc.
Simulink Coder™ is a trademark of the The Mathworks, Inc.